The message header contains the data needed to route the message within InterSystems IRIS. The message header is always the same type of object. This is a persistent object, meaning that it is stored within a table in the InterSystems IRIS database. To address these issues, InterSystems IRIS provides an alternative type of message body called a virtual document. A virtual document allows you to send raw document content as x body of a production message, without creating objects to hold the contents of the document as a formal set of properties. The data in the virtual document is stored directly in an internal-use global, for greater processing speed. You can also handle XML documents as standard messages. 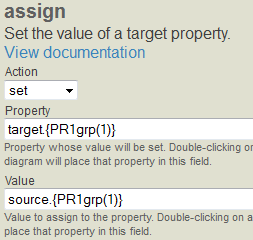 To do so, you can generate classes from the corresponding XML schema. For information, see Using XML Tools. For details, see the chapter “Virtual Property Paths,” later in this book. As the business host receives messages, InterSystems IRIS indexes these properties as if they were properties in a standard message body. For details on defining search tables, see “Defining Search Tables,” later in this book.